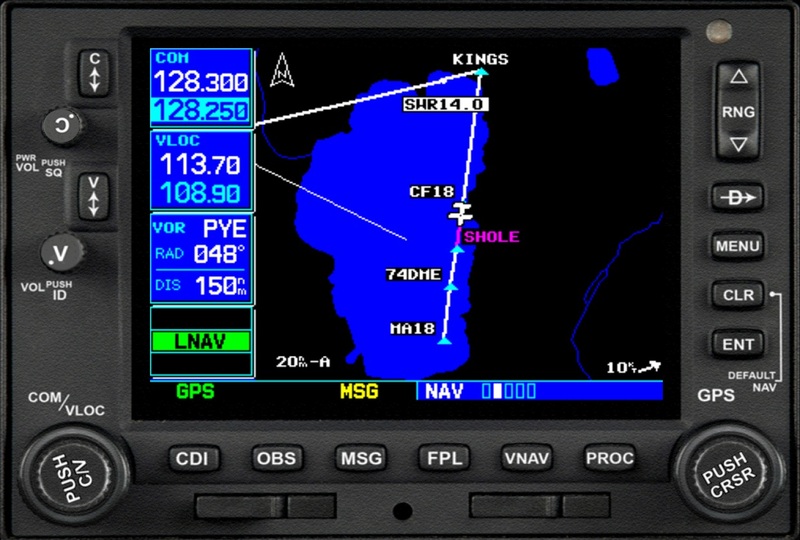 The GNS 430 and GNS 530 series gauges have lead the industry with multitasking, intergrated avionics and cutting edge WAAS navigation for many years. 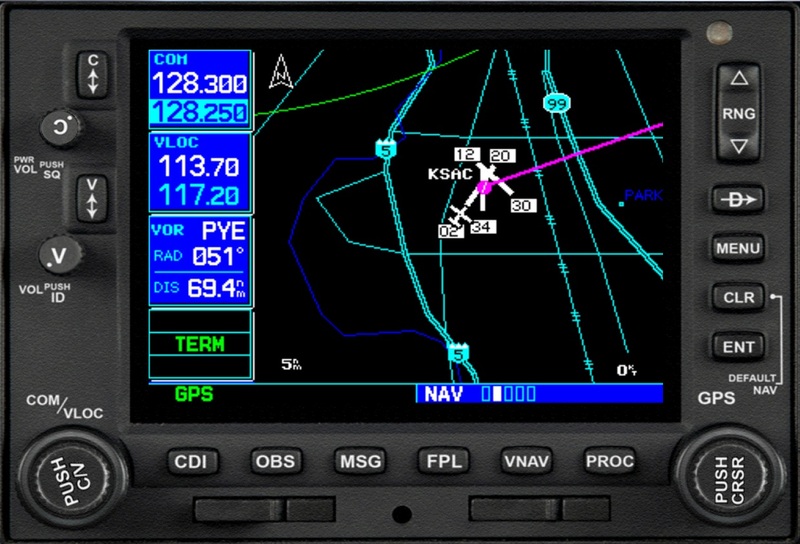 A single GNS 430 or GNS 530 functions as a communications radio (COMM), a VOR/ILS/GS receiver (NAV), and a moving map GPS. Combining one of each makes a common dual-GPS avioncs suite for IFR-certified aircraft. Flight1 GNS Complete - All in One! 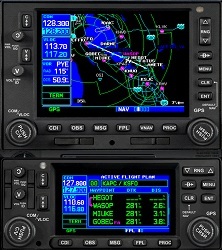 The Flight1 Software GNS series gauges are nearly identical to their real-world counterparts. Smooth Framerate Performance - The GNS Avionics Series is a step above other avionics packages out there, in that it doesn't use FSX/P3D internal processes to hinder simulation performance. All avionics data structures, calculations, and processes are done on its own using external processes that are separate from FSX. This allows your simulation experience to run smoother and have minimal frame rate or VAS impact overall. 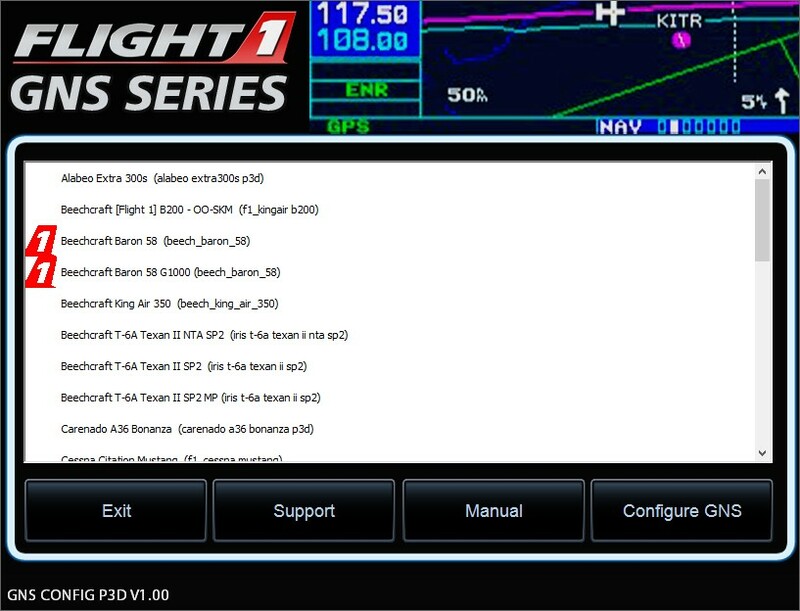 Each GNS series gauge features a high-contrast color display that makes it easy to read and interpret pilot-critical information. Quickly and easily see your position realtive to ground features, navaids, flight plan routings, approach procedures and more. Built-in terrain and navigation databases provide a clear, concise picture of where you are and where you're heading. The navigation database contains location reference for airports, VORs, NDBs, Intersections, Special Use Airspace and more. A detailed basemap shows airports, cities, highways, railroads, rivers, lakes, coastlines, and more. Using information from the built-in terrain and U.S. obstacles databases, the GNS series gauges dispaly color coding to graphicaly aleart you when proximity conflicts loom ahead. Product Note: The product does not include keyboard/joystick support for buttons/knobs. Crossfill/TCAD features will be available as a plug-in (for an additional cost) in the future. 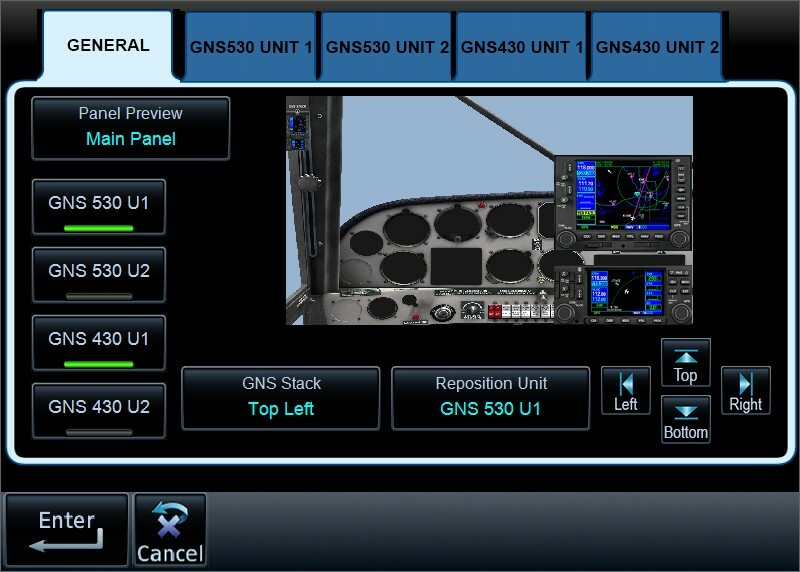 Up to two GNS 430 and two GNS 530 gauges can be installed and configured in each aircraft using the easy to use GNS Series Gauge Configuration utility. Each GNS series gauge supports full autopilot intergration and the ability to fly WAAS approaches. 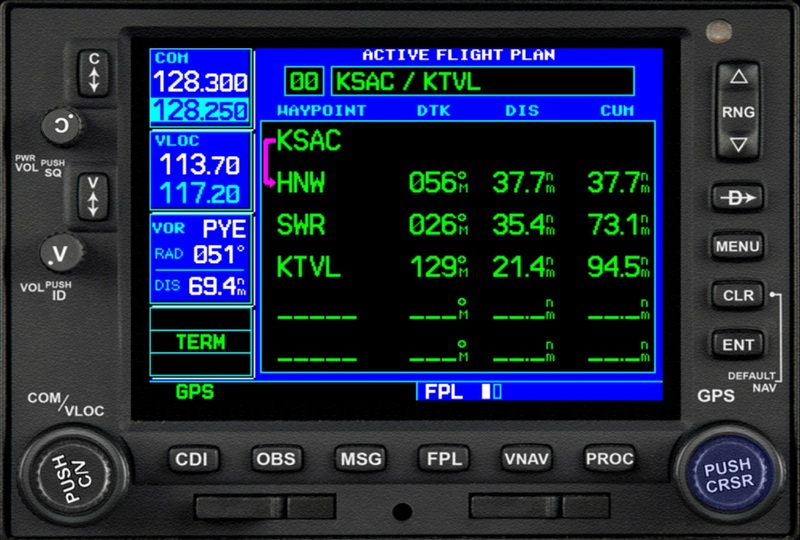 In addition, each gauge supports seperate flight plans and you are able to switch flight plan navigation sources between gauges. 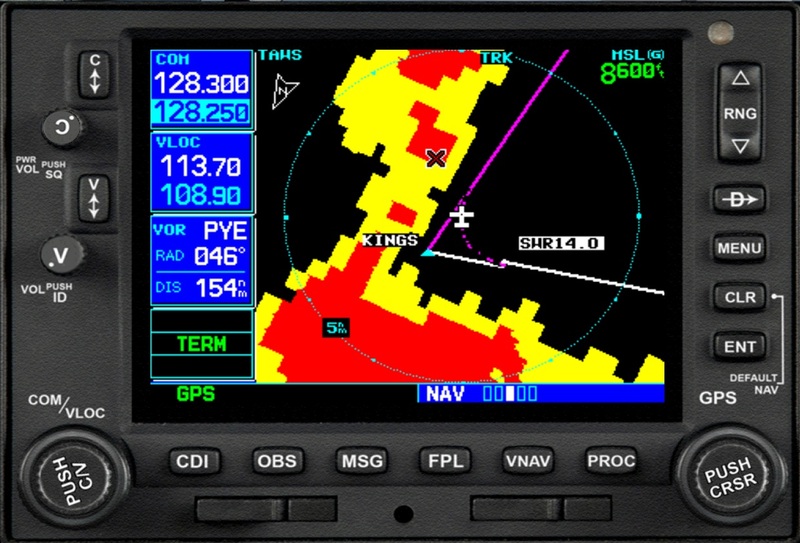 Cross-fill support between GNS series gauges is supported for radio frequencies, NAV/GPS indicator and more (cross-fill support of flight plan data is not currently supported). The GNS Series Gauge Configuration utility makes it fast and easy to install your new GNS series gauges. In addition, it will automatically scan Flight Simulator for any aicraft that are configured for Reality-XP GNS series gauges and provide you with a way to automatically replace the Reality-XP GNS GNS gauges wth our Flight1 Software GNS series gauges. This allows you to quickly and seamlessly update your Reality-XP GNS-equipped aircraft with our new gauges! This is a small tool that will resolve all compatibility problems with future versions of FSX:Steam Edition and Prepar3D. Once a new simulator version comes out, it will automatically download all needed definitions. This will make the update process quick and hassle-less. No more need to redownload and reinstall the product. just press the Download button and in a matter of seconds you have the latest version. For more information on the tool, click here. This product now requires the following Visual Studio 2017 redistributable packages: vc_redist.x86.exe and vc_redist.x64.exe. Please make sure these Microsoft Visual Studio Runtimes are installed to your system. The GNS 530 and GNS 430 includes a worldwide Navigation Database (Airports, VORs, NDBs, intersections, approaches, departures, and arrivals). It contains these items for the entire world. The E-Commerce enabled download executable includes a purchase screen that will appear when you run the executable. The servers do support Resume, however we do not recommend certain download managers because they can sometimes corrupt large downloads. See if you are eligible for a free upgrade! Please contact us via our ticket system and we will give you a free update. If you already purchased a previous GNS version (Flight1 GNS 530 or 430), before May 30th, 2017, and are upgrading to the Complete Edition, you can use one of these coupons to upgrade for $19.95. Have your previous purchase order number handy during purchase. Use the coupon that corresponds to your original purchase. Important: You can use any single version from any of your previous GNS purchases to upgrade from. You only need to upgrade one time because the new GNS Complete contains all 4 previous versions.